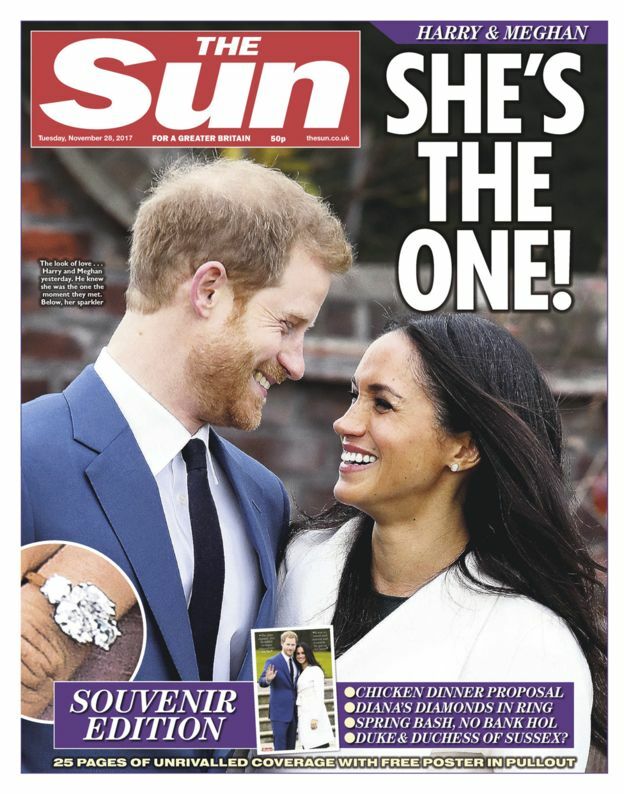 A new royal wedding has sent Fleet Street into overdrive, with Prince Harry and Meghan Markle’s engagement announcement yesterday prompting no fewer than five souvenir specials. 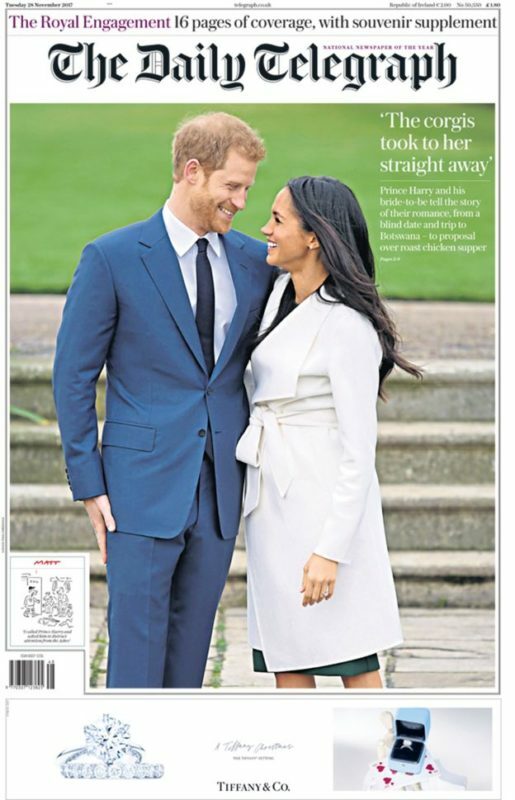 Photos of the prince and his bride-to-be adorned the front pages of nearly every major national newspaper today, with only the Financial Times refusing to make space for the happy couple. 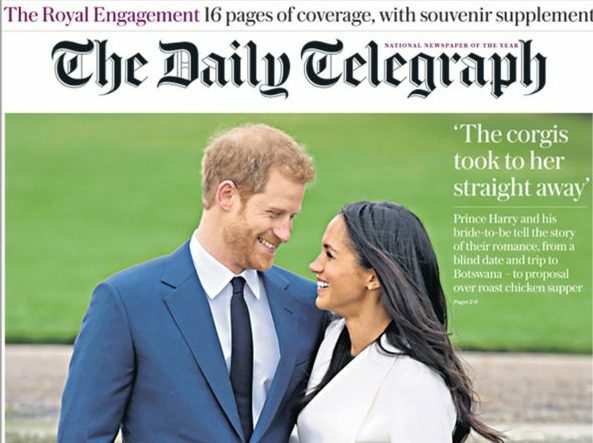 The FT has run two stories on the engagement – in stark contrast to frenzied coverage across rival newspapers – one noting dryly that the wedding is “unlikely to do much to boost Britain’s sluggish economy”. 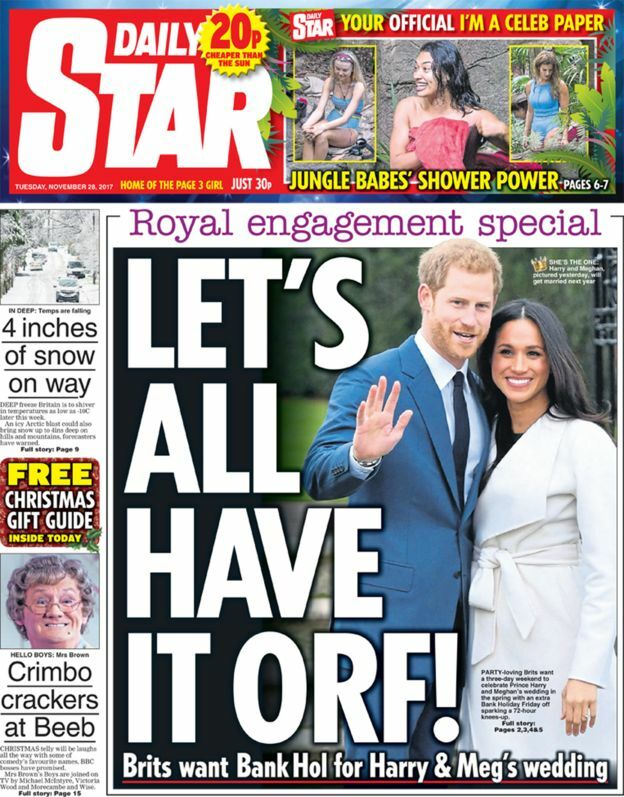 Newsrooms have been waiting in anticipation of a royal announcement for months, with expectant news crews said to have turned up outside the gates of Kensington Palace last week in a fever pitch. 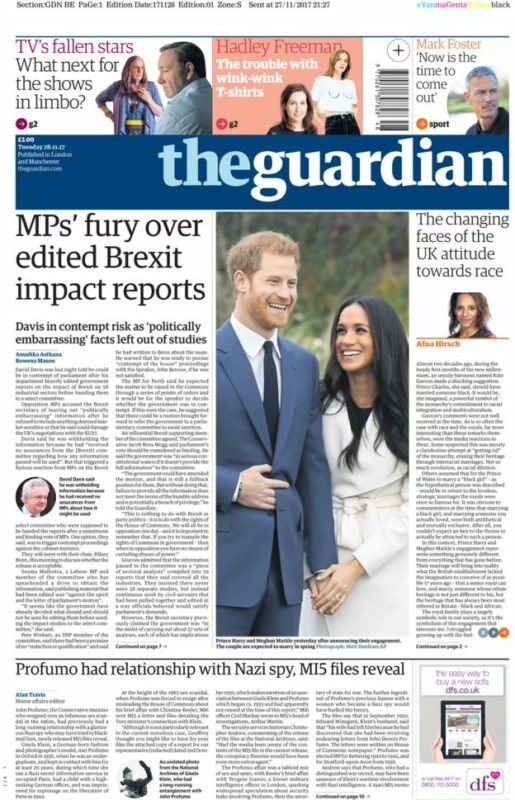 The Mail on Sunday was proven correct in reporting royal sources claiming the couple were “set to bring months of fevered speculation to an end by announcing their engagement this week” on Sunday. 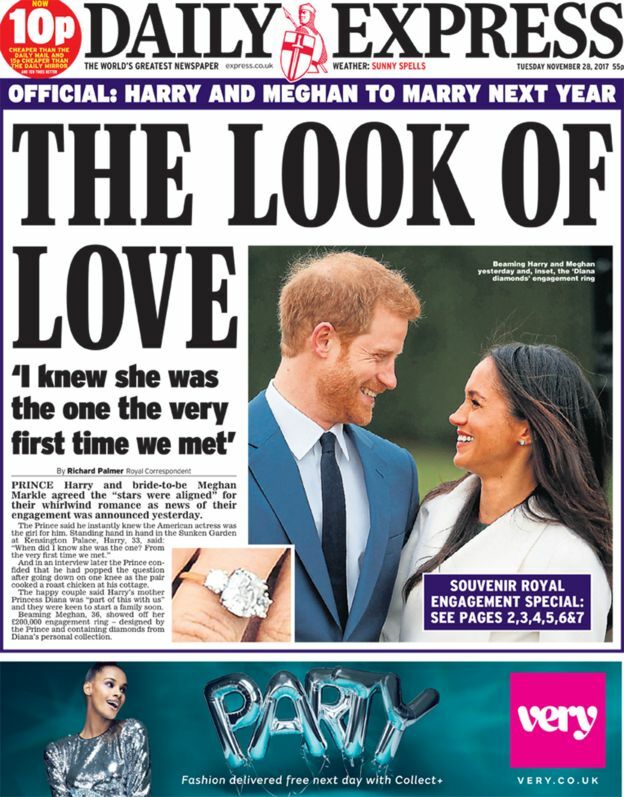 The Sunday Express also had the story this week that the engagement was imminent. 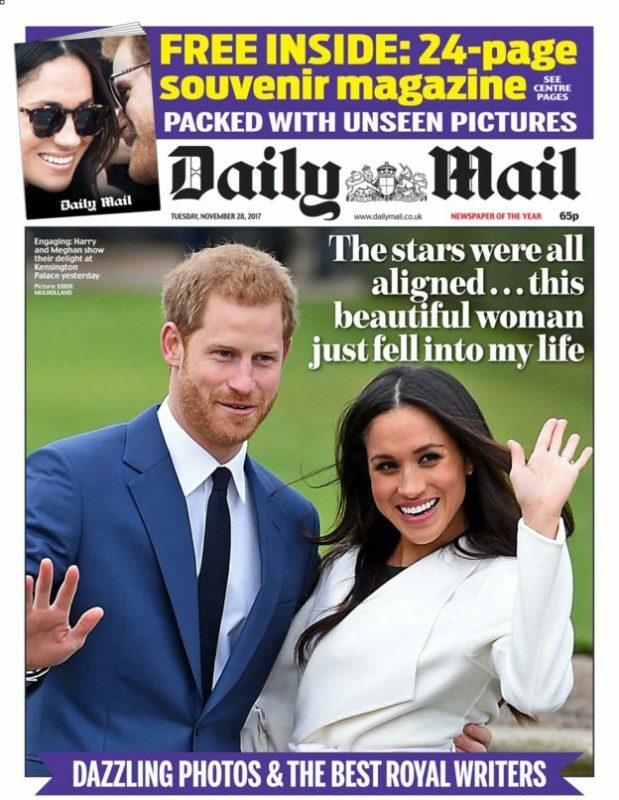 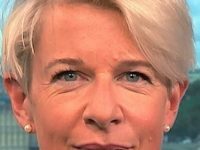 The news that the pair were in a relationship was originally broken by the Sunday Express on 30 October, last year. 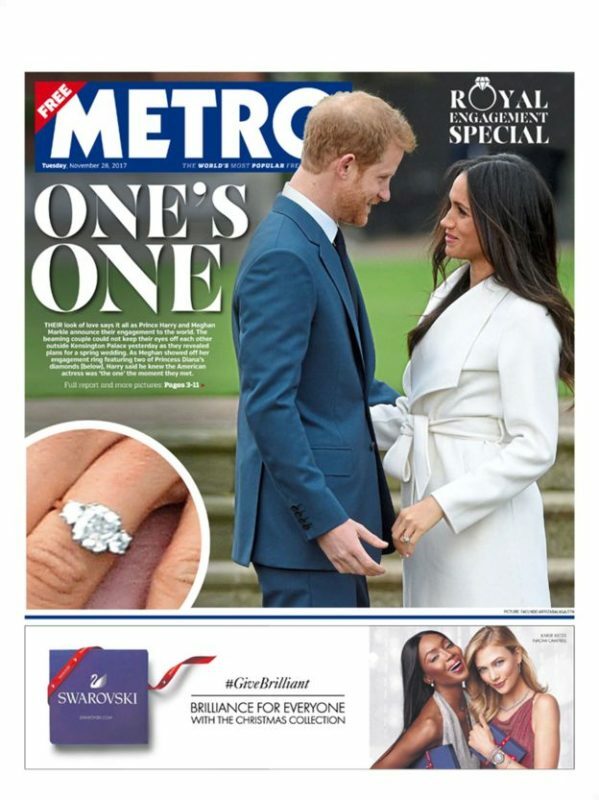 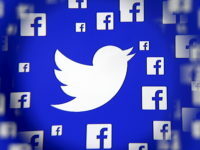 Ultimately it was Clarence House that scooped the newspapers, announcing the engagement on Twitter at 10am on Monday. 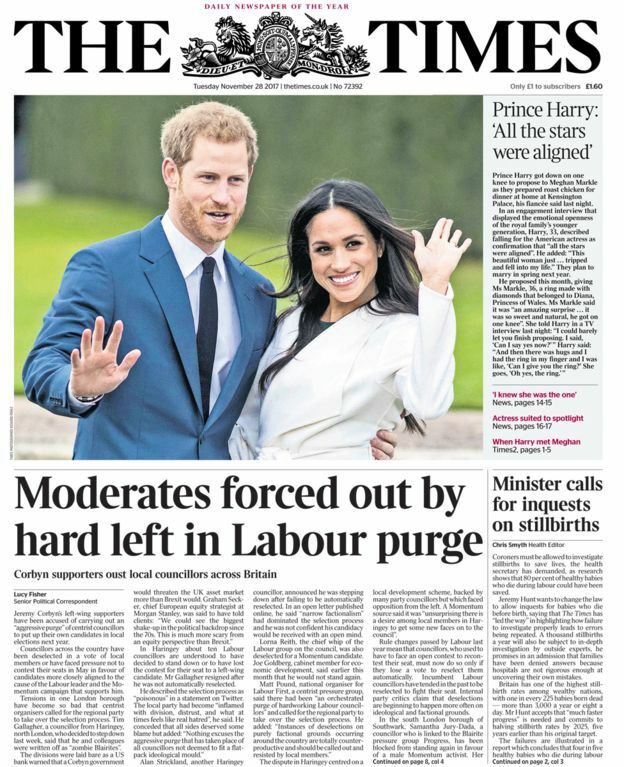 Members of the press were invited to a royal photocall at Kensington Palace the same afternoon, but were separated from the Prince and his actress fiancé by a lake, forcing reporters to yell questions at them. 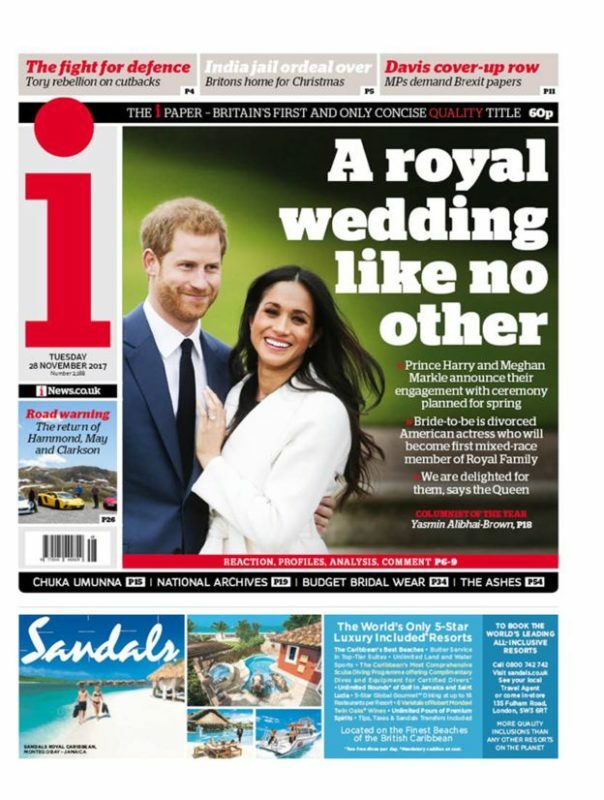 Picking up some tips for my own upcoming wedding thanks to #RoyalWedding coverage. 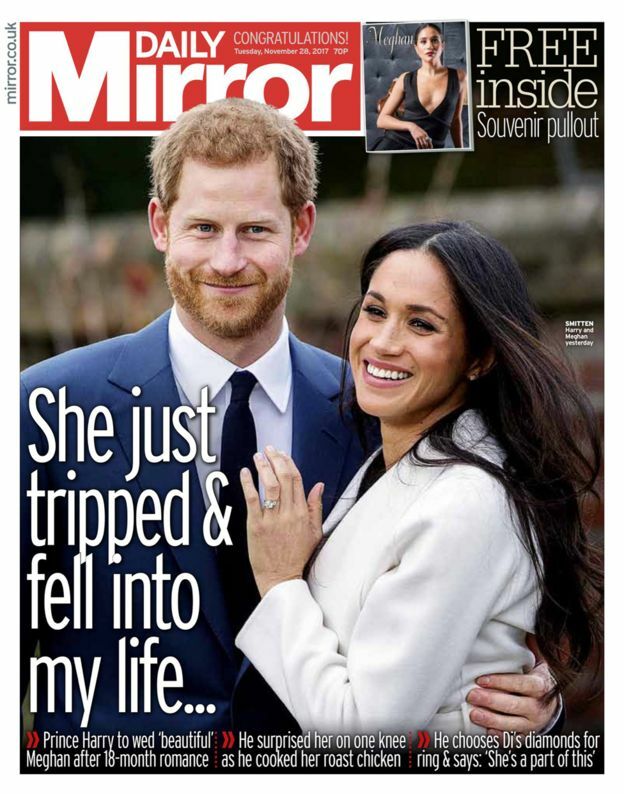 It was BBC Today programme presenter Mishal Husain who was granted the first – and likely only – official engagement interview with the couple, which was pooled to all other news outlets. 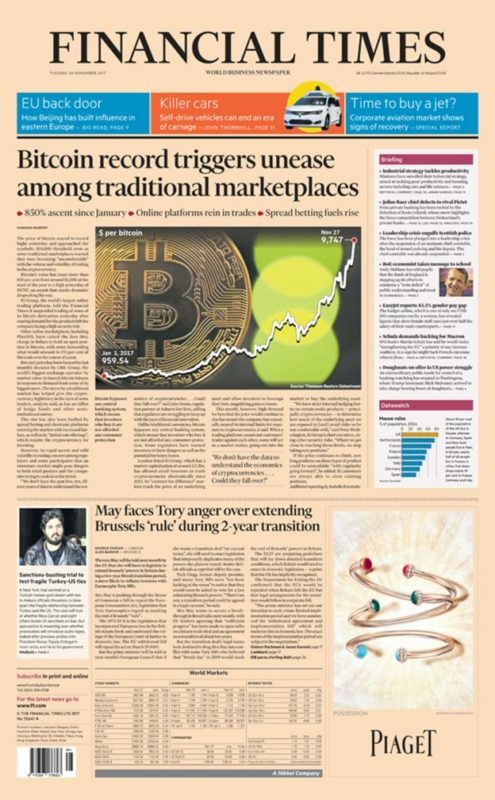 And yet, bizarally, the economy could get a big boost through tourism and all the spin off’s?